Join the Friends of JAG Arts and Kepich Ford on Saturday, April 14 between 11am and 3pm at Kepich Ford in Garrettsville to raise money for the JAG Arts Programs! Drivers must be 18 years of age and hold a valid drivers license to participate. 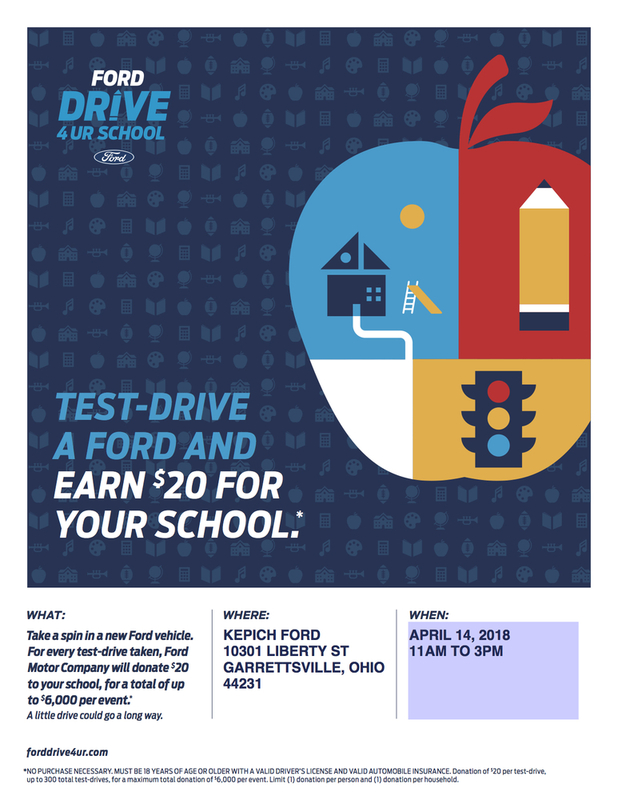 Each test drive will earn JAG Arts Programs $20, with a maximum donation of $6,000! Our goal is to earn the maximum $6,000 by getting 300 drivers at this event. Come out and support a local business in our community while earning money for the Arts!